!!! This page is under construction !!! 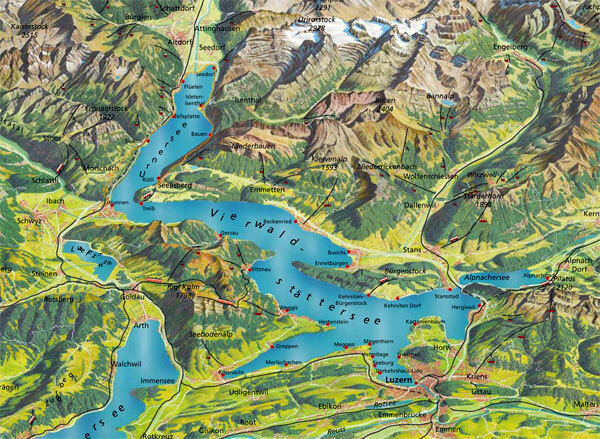 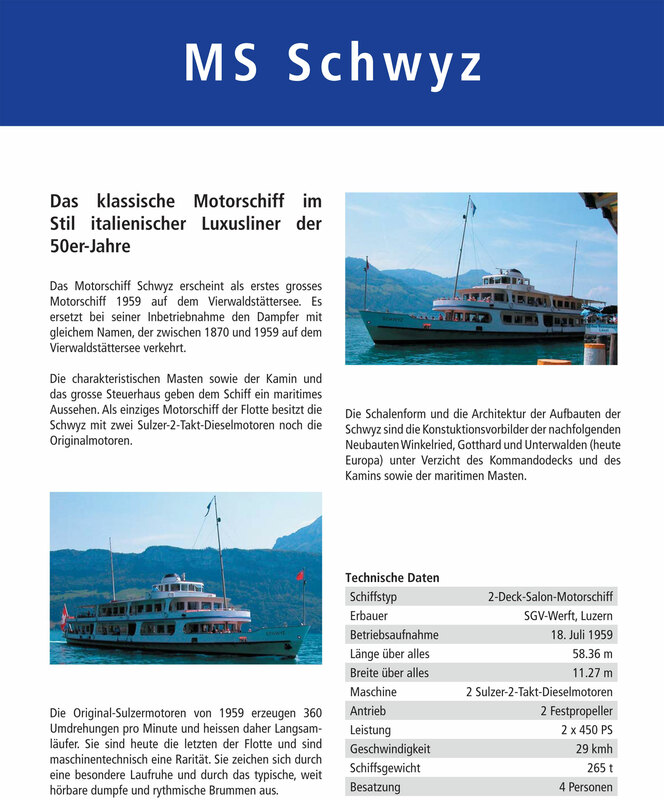 This page shows images of the Vierwaldstättersees (Lake Lucerne) fleet of SGV (Schifffahrtsgesellschaft des Vierwaldstättersees), cover vessels which have been in service the 1980s. 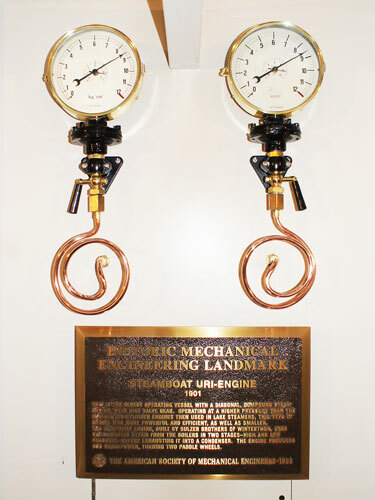 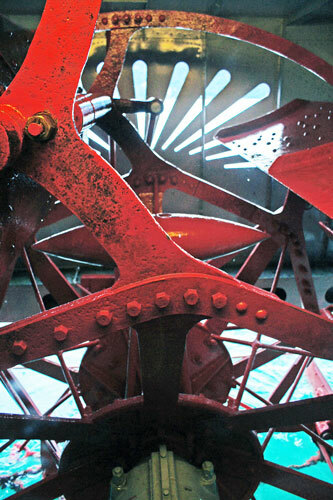 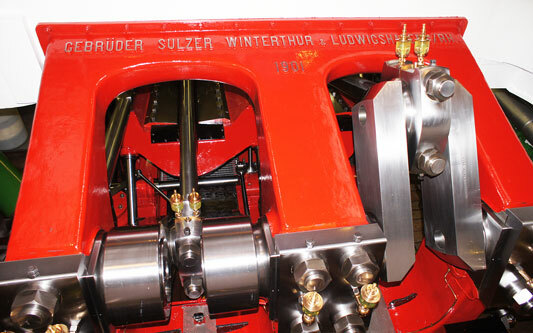 Additional pages will cover earlier periods..
Uri was built in 1901 by Gebrüder Sulzer. 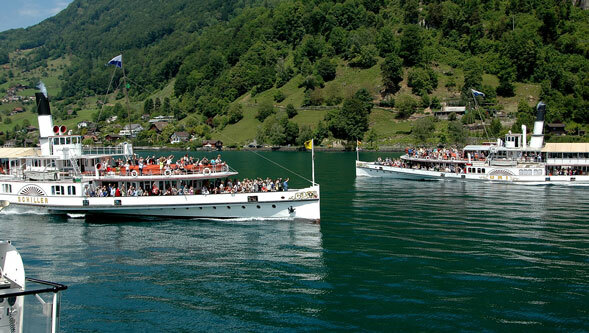 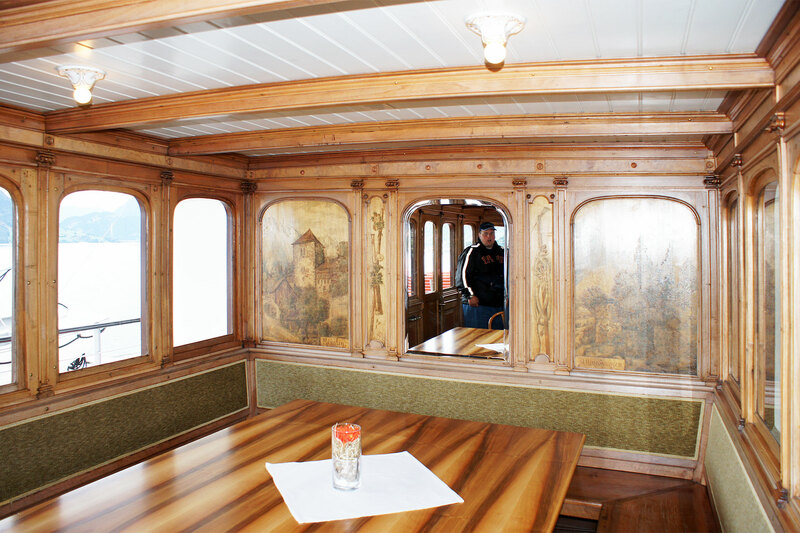 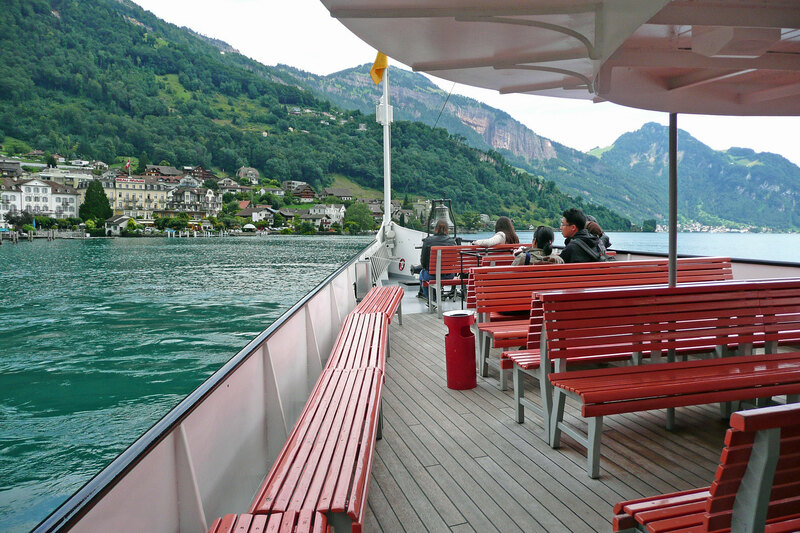 It is very similar to Unterwalden built 1902 by Escher Wyss. 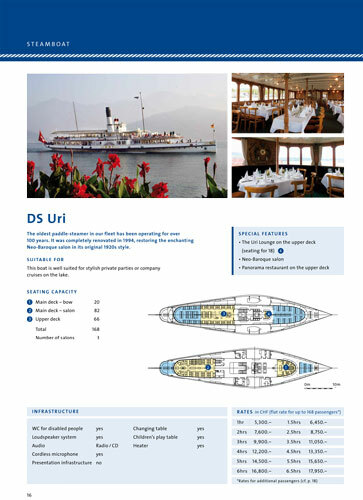 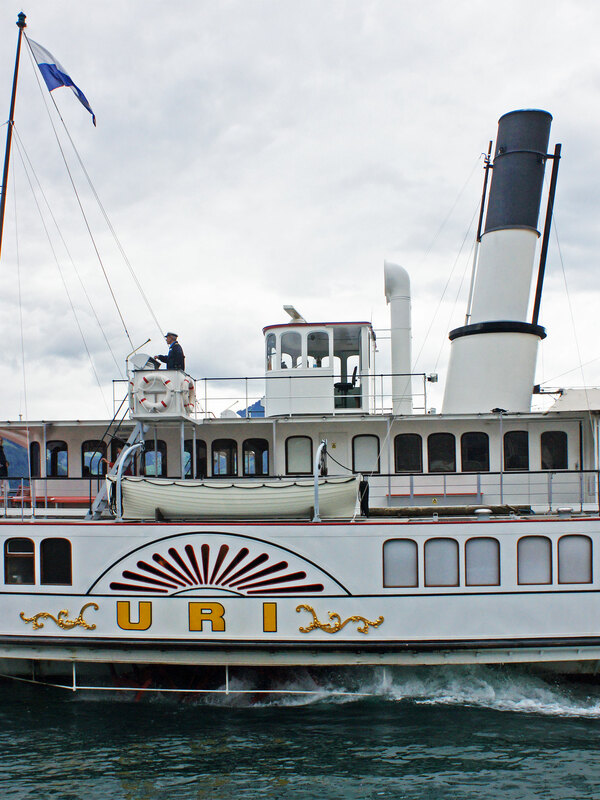 Uri received major rebuilds in 1949, 1961, 1981 and 1994, the latest returning to a more original appearance, following a lengthy period running with an ungainly retractable funnel design and ugly fixed upper deck cover. 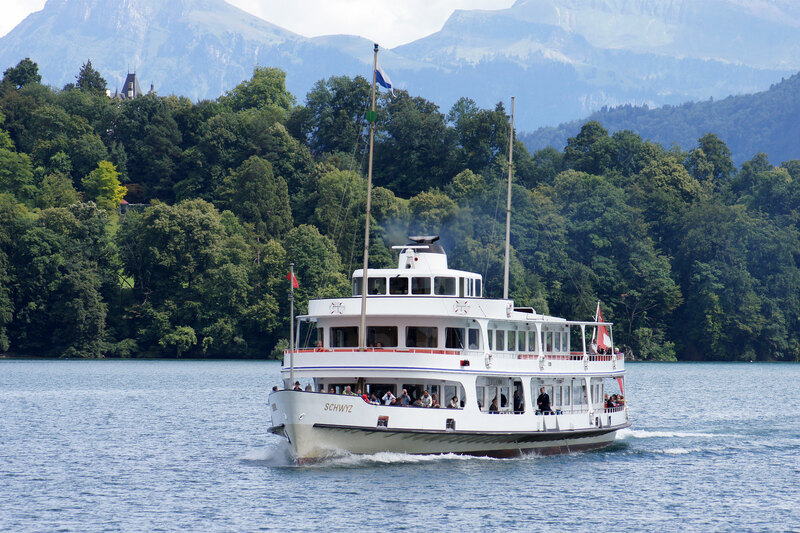 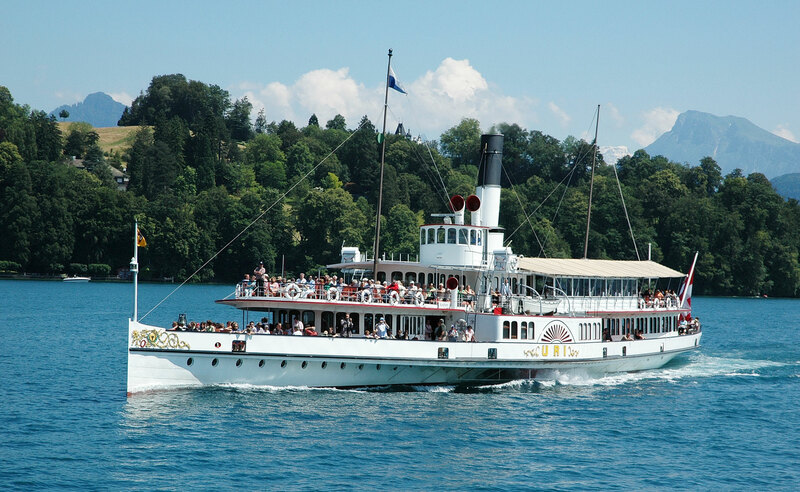 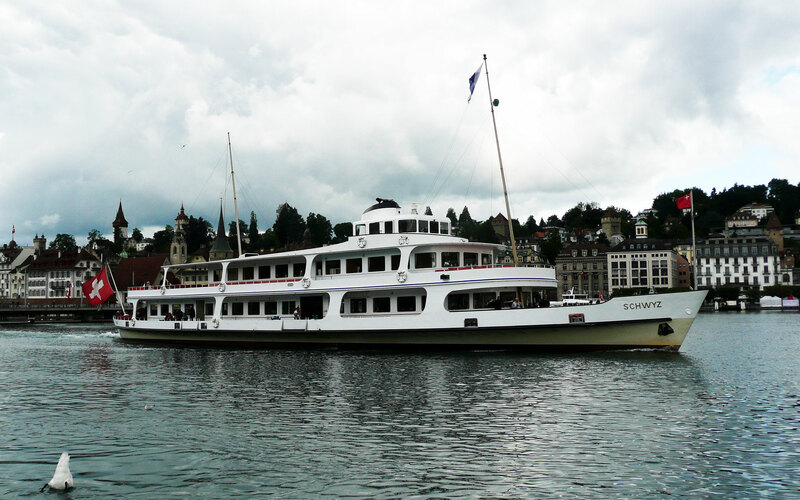 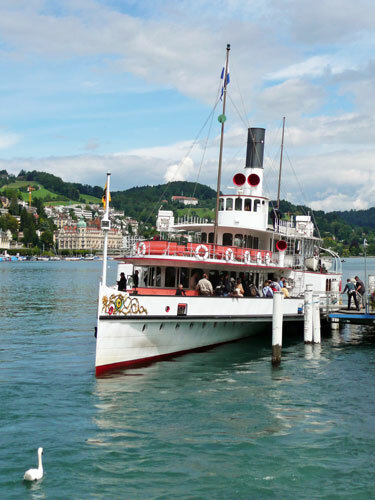 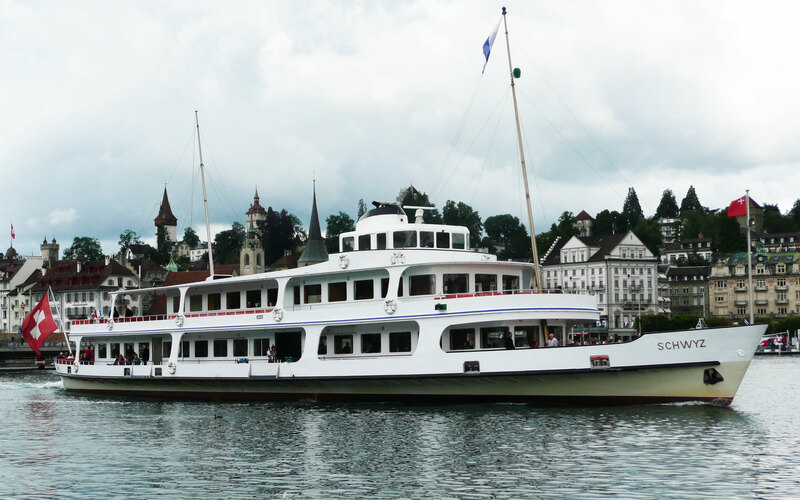 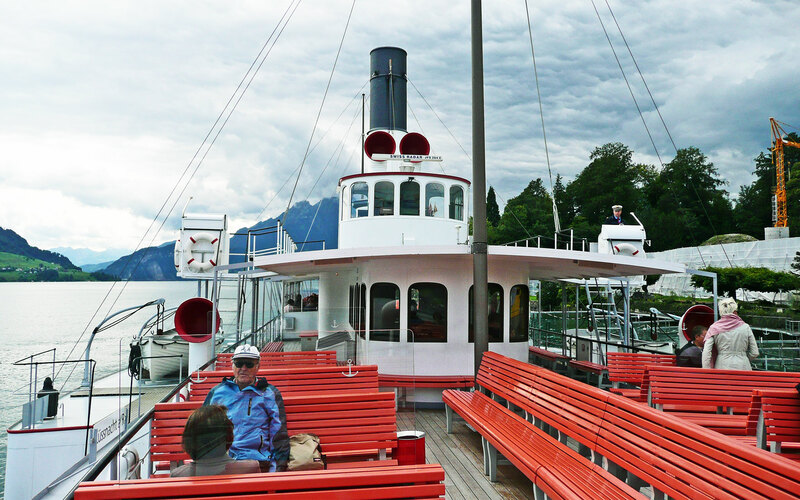 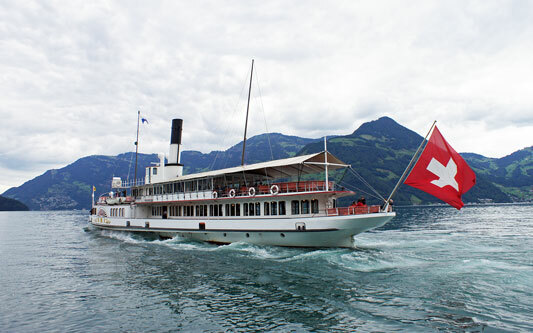 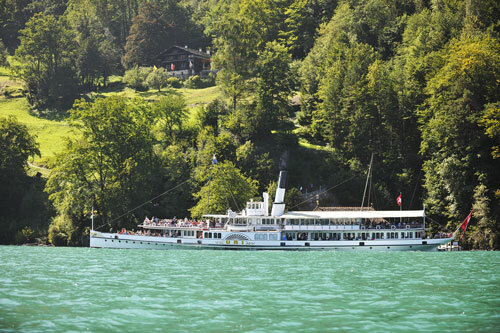 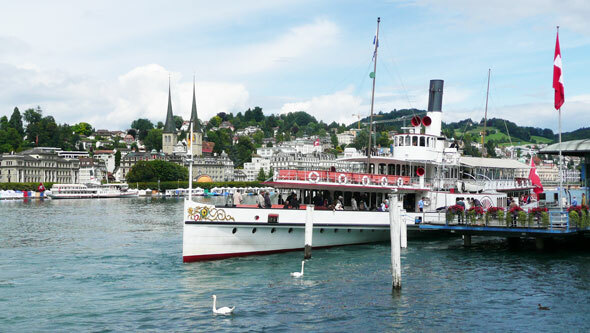 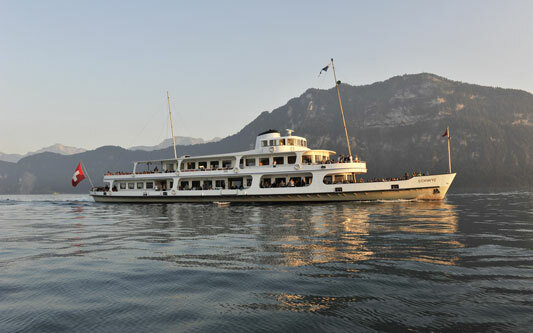 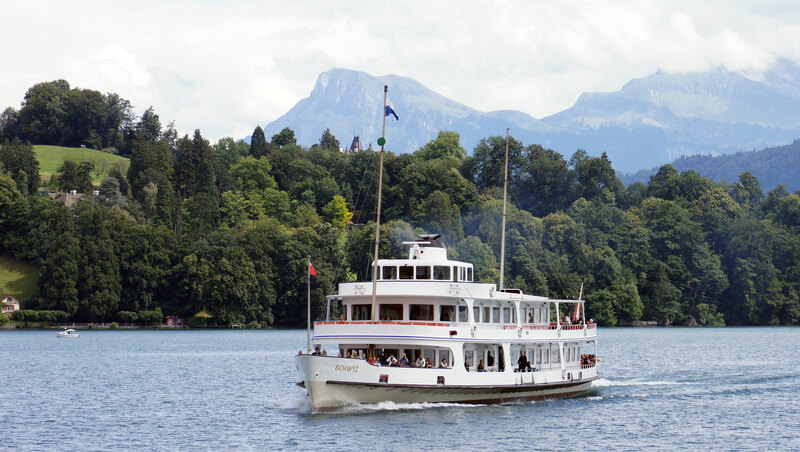 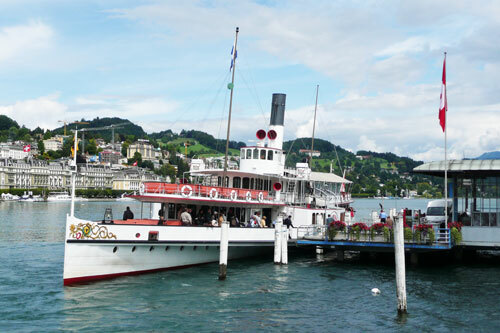 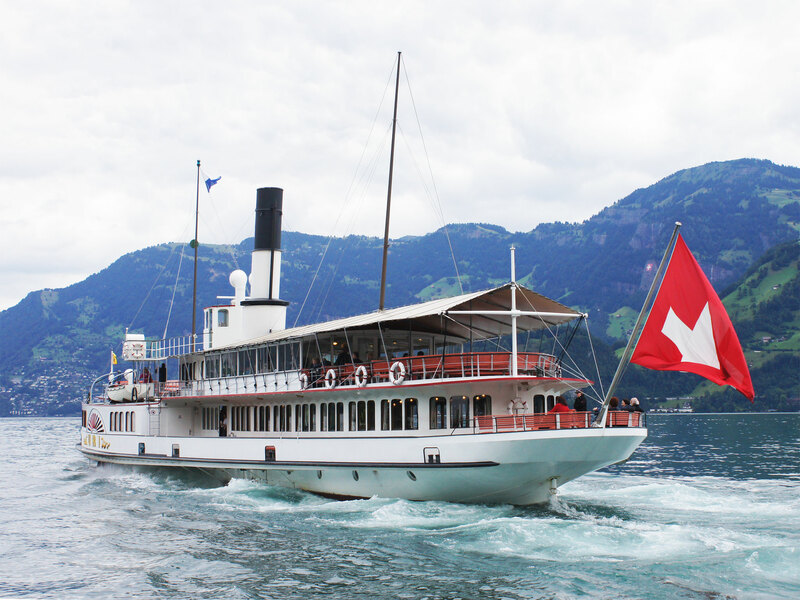 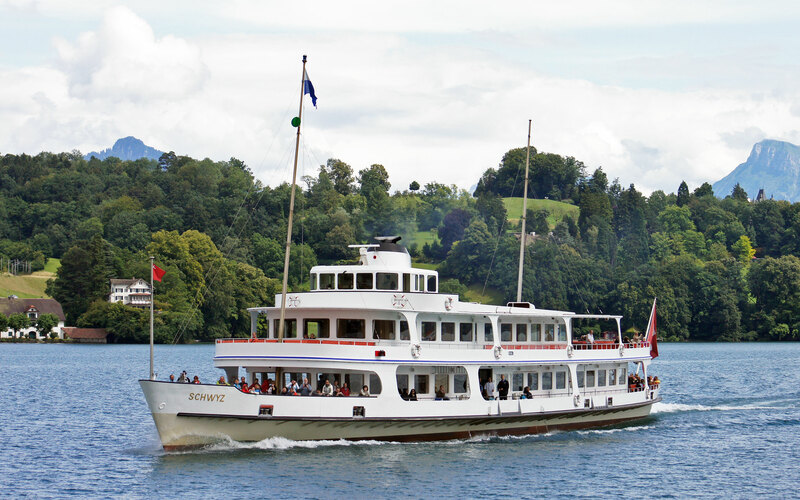 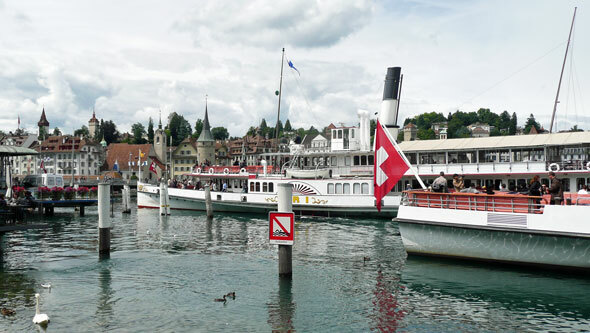 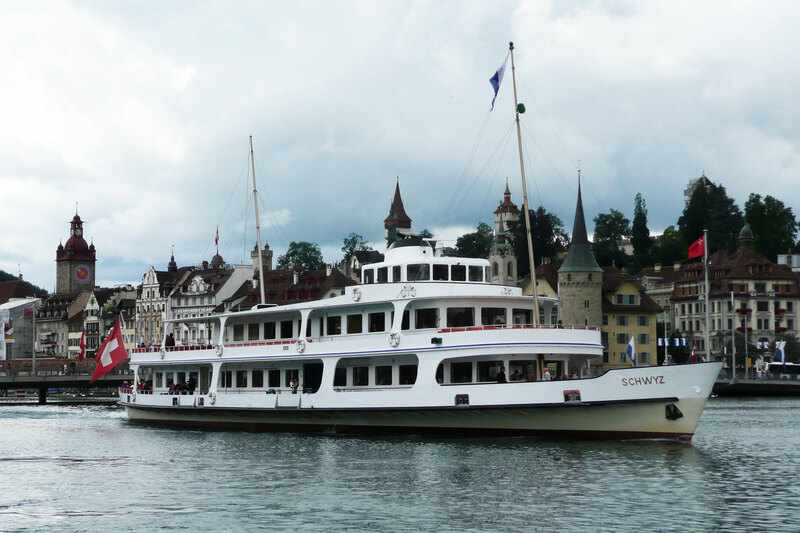 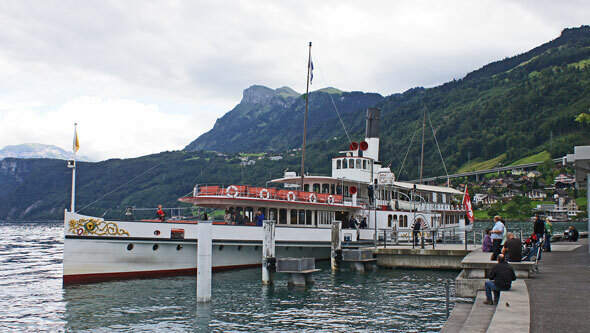 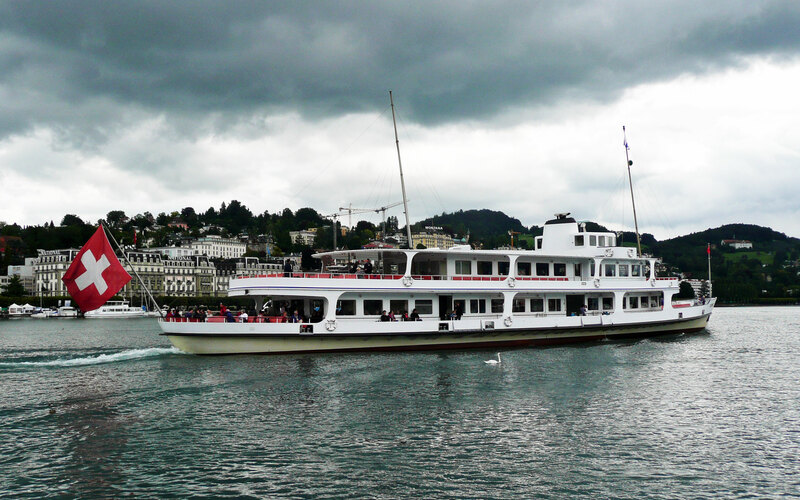 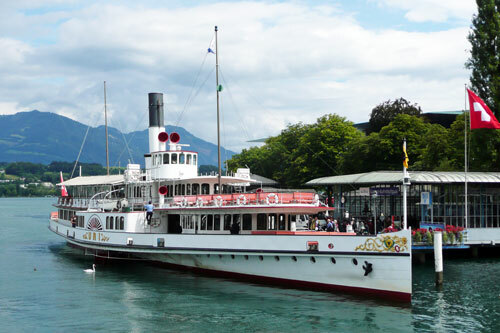 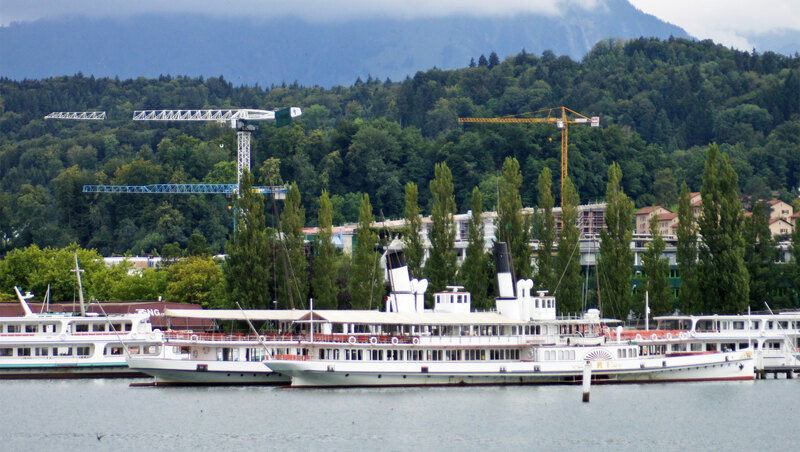 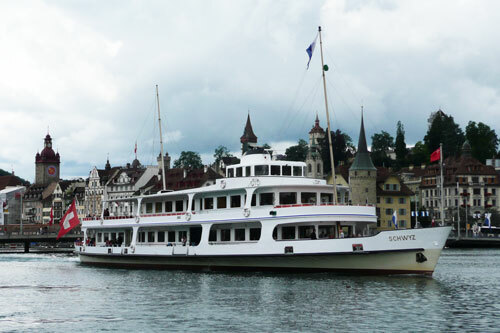 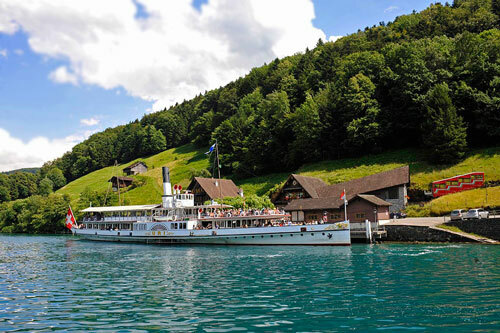 Schwyz was built in 1959 at Luzern, the first of the big SGV motorships. 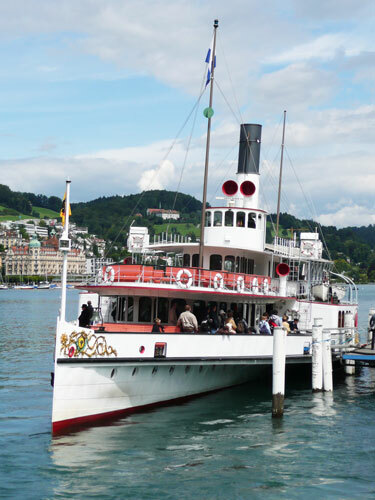 The shipyard for the SGV fleet is close to the main railway station where the steamers also depart from..